The Jurassic Park series of movies will always be something special. The dinosaurs and the amazing VFX aside, the movies really hit home with the incredible story telling as our protagonists dived into the world of the prehistoric. Jurassic World tried to recreate that magic and managed on most accounts but failed in many as well. So the guys behind the camera have decided to go back to the very roots that made this franchise the legend it is today. 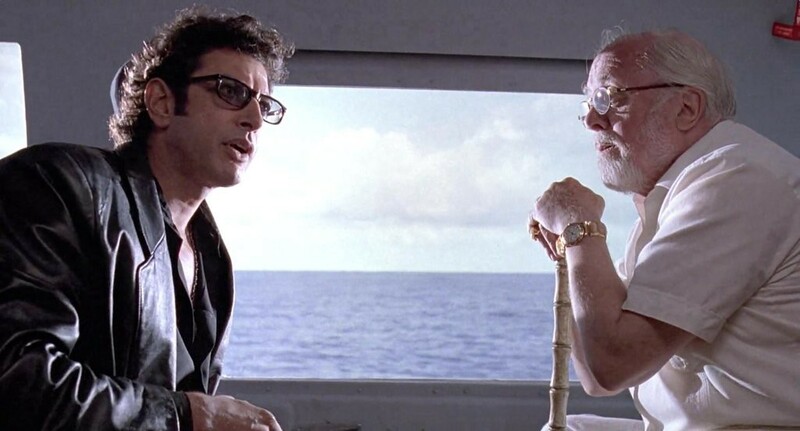 A new behind the scenes featurette reveals Jeff Goldblum’s fan favorite Dr. Ian Malcolm is set to return in the sequel. J.A Bayona of A Monster Calls fame is at the Director’s chair. The guy has promised us a lot more screen time for dinosaurs done with practical effects like in the original trilogy and a lot less CGI (Yay!!). The featurette also shows a kid being chased by a killer dinosaur coz a kid always has to find himself in harm’s way in a Dinosaur movie. D.B Wong will appear in the movie as the evil and sinister Dr. Henry Wu. But it is the return of Dr. Ian Malcolm that has actually hyped up the fans. The video reveals that Jurassic World: Fallen Kingdom will feature much more practical effects, dinosaurs, an explosive plot and an all new villain. Now with Goldblum back, can Bayona put the movie franchise back to it’s former glory? Sound off in the comments.